Start with pork back ribs. You’ll need them ready to go at least 1 day before cooking (thawed if you previously froze them). Remove the membrane from the bottom of each rack, or ask your butcher to do this for you. 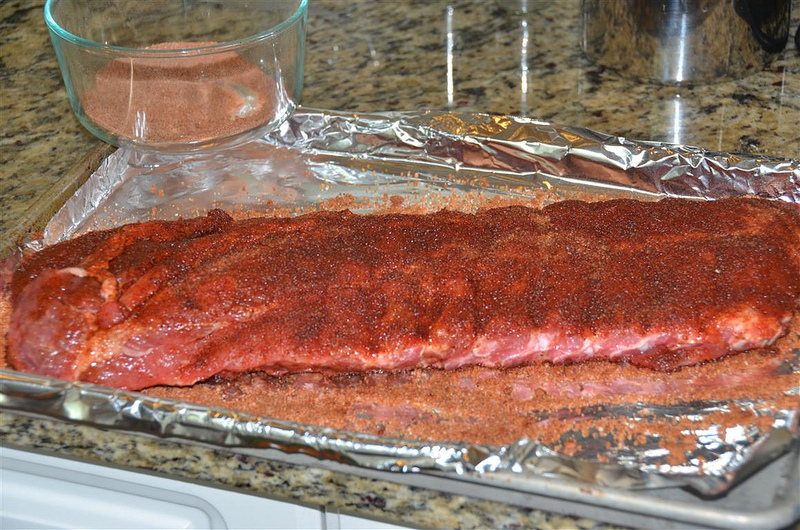 The first step is to mix the rub and apply to the top of each portion of ribs. This should be done as much as 24 hours before you plan on cooking (ideally overnight) to let the rub work its way into the meat. About one to two hours before smoking, remove the ribs and sit them out to come to room temperature. While the ribs are warming up, make the mop (below) and have it ready to baste the ribs while they’re on the grill. Once the chips smoke heavily, throw your ribs on the grill. I’ll let them cook in the high heat for about 15 minutes and then scale the heat way back. You’ll want the grill between 175F and 200F for at least the next 2 ½ hours. If your grill doesn’t go this low, be creative with venting the hood. It’s also important to use indirect heat. 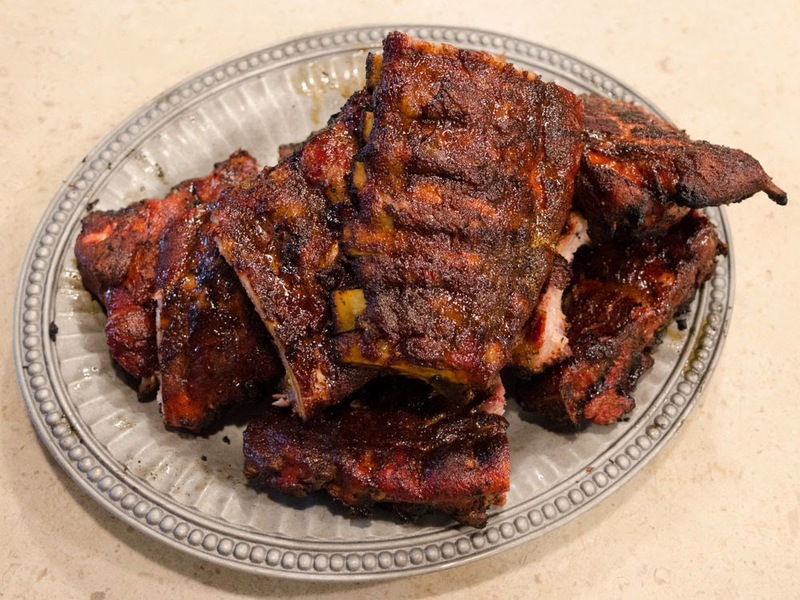 The ribs should not be directly over an active burner. All of the following measurements are in “parts”. A part may be a teaspoon, cup, drink jigger or a saucer – it’s up to you – what’s important is the ratio. The rib rub is the key to the ribs. This is where the flavor comes from. Remember, you can’t bottle flavor of true BBQ and squirt it on. Tweak and modify the ratios and ingredients as you see fit to make the flavor you want. What I’ve found is that you don’t want to overdo it on either the salt or the spice. While the ribs are cooking, apply the mop about every 15 minutes. Take care not to wash off the rib early on. The mop keeps the ribs moist. 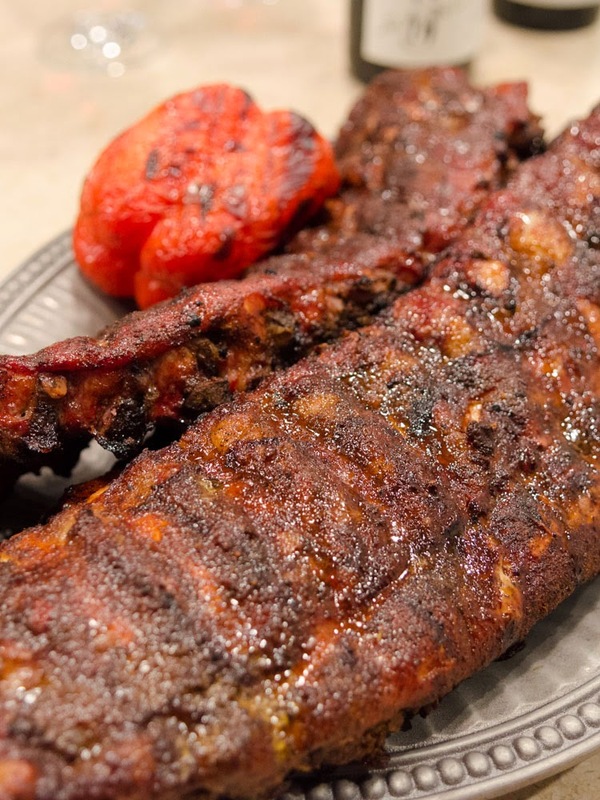 You should have absolutely no reason to put any “sauce” on these ribs when you take them off.